Sawyer, Edward Bertrand, of Hyde Park, son of Joshua and Mary (Keeler) Sawyer, was born in Hyde Park, April 16, 1828. His education was obtained in public and private schools, to some extent under the care of a tutor, and during one term at the People's Academy. His father was his first instructor in the law, the study of which he commenced at eighteen years of age, reading also in the office of Hon. W. W. White, then of Johnson. Appreciating the defects of his early schooling, he adopted a system of self-education, taking Fowler's "Self Education, Complete" for a guide and Benjamin Franklin for his model. Three years of his early life he spent with a brother who was engaged in trade in the Province of Quebec, and while with him he received a somewhat varied business training, but he had a fixed inclination to the practice of the law, and after the preparatory study above referred to, was admitted to the bar of Lamoille county, at the June term of 1849, and immediately commenced to practice with his father. The same year he was appointed clerk of the court, which office he held, with the exception of two years, until September, 1861, when he resigned to enlist for the war. He again held this appointment from 1868 to 1875, when he a second time resigned, and since then has continued in the practice of his profession. In 1865 he interested himself in the artificial breeding of trout, and was probably the first man in the state to engage in this enterprise. Two years after he abandoned this undertaking, to purchase the Lamoille Newsdealer, a paper which he revivified and edited for three years, devoting a large share of its columns to the advocacy of the Portland & Ogdensburg R. R. In 1870 he sold this journal and varied his experience by becoming the proprietor of the American Hotel, and after seven years' management of this concern, retired to resume his professional labors, and since 1877 has given these his exclusive attention. Mr. Sawyer devoted all his time from the beginning to the end of the war to the service of his country. He enlisted Sept. 14, 1861, having first raised and organized Co. D, 5th Vt. Regt., and raised Co. I, 1st Vt. Cavalry. Upon the organization of this body he was unanimously elected captain, and in the retreat of General Banks down the Shenandoah Valley received a severe injury by a fall off his horse. Having been previously promoted to major, though disabled, he did not suffer his energy to remain idle, but recruited two hundred men for the regiment at large, and in addition organized Co. L and Co. M, forming the sixth squadron of the regiment, of which he was colonel, when not in charge of a brigade or detached on special service, until he resigned. He was placed in the command of the 2d brigade of Kilpatrick's division when that general made his raid upon Richmond, and upon that occasion and many others was complimented for his efficient services by his superior officers, though no record can be found of his asking for promotion. In September, 1863, he was wounded in the cheek by a rebel sharpshooter, and though in no great battles during the war was more than forty times under fire. Colonel Sawyer organized and was the first commander of Aaron Keeler Post, GAR, which was named in honor of his maternal grandfather, a veteran of the American Revolution. Colonel Sawyer was married in June, 1849, to Susan Almira, daughter of Hon. Isaac and Dorcas (Titus) Pennock. 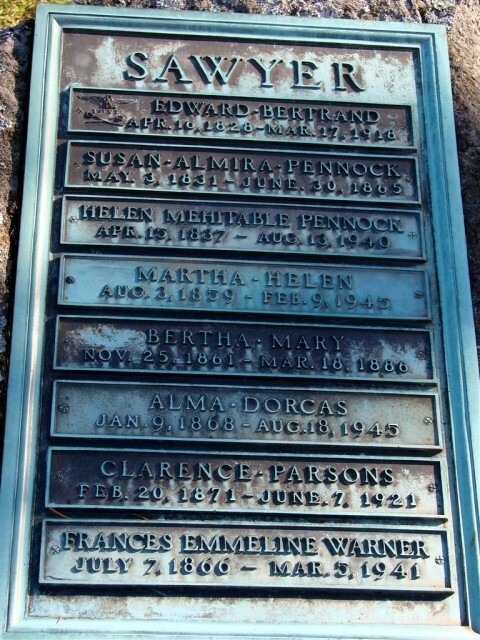 Of this marriage four children were issue: Myra Ellen (Mrs. F. N. Keeler), Edward B., Mattie Helen, and Bertha Mary (deceased). In August, 1866, he wedded Helen M. Pennock, the sister of his first wife, by whom he had: Alma Dorcas, Clarence Parsons, and Lucy Etta. Colonel Sawyer came from old Federal and whig stock, and sang Harrison songs in the political campaign of 1840. He was in the convention which instituted the Republican party in Vermont, and in that of 1856, which nominated Ryland Fletcher for Governor of the state. He advocated Fremont's election, and spoke in his favor in every town in the county. An incident which fell under his observation during his residence in Canada, attracted his attention to the subject of American slavery, and he became a most bitter opponent of that institution. He was privileged to hear some of the joint debates of Douglas and Lincoln, and ever after remained an enthusiastic admirer of the latter. He was the junior member and secretary of the Vermont delegation to the national convention of 1860, and an uncompromising advocate of Mr. Lincoln's nomination. He represented Hyde Park in the Constitutional Convention of 1870, and favored the change to the biennial session. He is now a firm believer in the theory that law, and law only, makes money, and that the government can make a dollar out of any material. Source: Jacob G. Ullery, compiler, Men of Vermont: An Illustrated Biographical History of Vermonters and Sons of Vermont, (Transcript Publishing Company, Brattleboro, VT, 1894), Part II, pp. 350. S. 3536. Edward B. Sawyer is a resident of Hyde Park, Vt., and has an honorable military record. 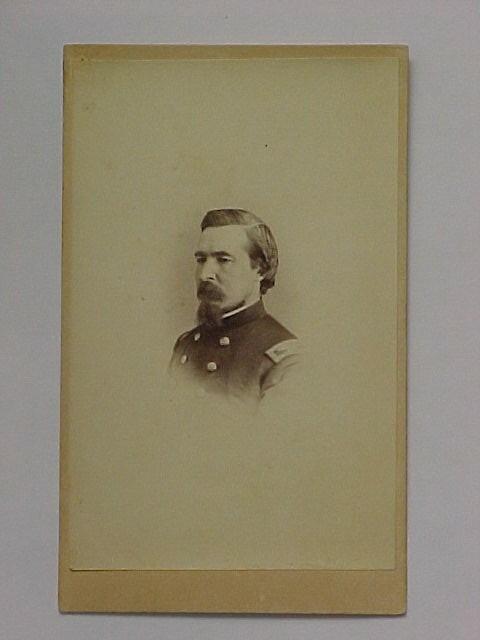 He was mustered into service November 19,1861, as captain, with Company I, First Vermont Cavalry, and honorably resigned as colonel April 24,1964. He was made major April 25, 1862, and colonel September 16, 1862. He was a brave and efficient officer. Washington, D. C, December 3, 1913. Dear Senator Shively: I have introduced a bill to increase the pension of Col. Edward B. Sawyer. Col. Sawyer resides in the village where I live --- Hyde Park, Vt. I hiive known him ever since I was able to know anybody. He was clerk of the court of my county --- Lamoille --- for many years, and has been a practicing attorney at Hyde Park all the time for more than (50 years, except the nearly three years when he was in the service. Up to within the last two years he has been able to do some little professional business as an attorney, but the infirmities of age have been so heavy that he is now practically a physical wreck; and perhaps I might without impropriety add that he is as well a mental and financial wreck. His chief support for the past two years has been a maiden daughter nearly 50 years of age; but when I was at home last she informed me that she was in serious physical condition: that there was a complication of diseases requiring a surgical operation; and she soon after left for Boston, and is still in the hospital. Even though she may be able to go home in the near future, she will suffer, I fear, a total collapse if she attempts to earn as a bookkeeper --- for that is the work she has been doing in the past --- enough to keep her aged father and mother. Col. Sawyer will be 86 years of age in a very few months. His wife, I think, is a few years his junior; and it is really terrible to think that a man who has lived as a gentleman on a fair income all his life should now be reduced to the necessity of living on a pension of $30 a month for himself and wife. I have asked that his pension be increased to $75, and hope that you may feel inclined to recommend that sum. I sometimes wonder if we are doing our full duty when one of the few remaining colonels of the Civil War finds himself reduced to penury because of not giving them enough to prevent actual hardship and suffering. There may be another Vermont colonel living, although at the moment I only think of one besides; and there is every probability that in a very brief period Col. Sawyer will join the bivouac over yonder. Let me repeat that I hope the Senate Committee on Pensions will open its heart and give this pitiable case just, if not generous, consideration. I shall be glad to come before the committee whenever its members are ready to take up this case and answer any questions which you may see fit to propound. Morrisville, Vt., November 25. 1913. Hon. C. S. Page, Washington, D. G.
My Dear Senator: I am writing you to ask it something can not be done to increase Col. K. B. Sawyer's (tension. As you well know lie is in his srith year, in very feeble condition, and unable to do anything to earn a livelihood. I certainly feel that his case is very deserving and that this Government should, if possible, do something to make the very short time he has to remain with us easier iu view of his record as commander of the First Vermont Cavalry. I think I am stating only what the records will show when I say that to Col. Sawyer more than to any other one officer is due the wonderful record made by that splendid fighting cavalry regiment, whose record throughout the entire Civil War was surpassed by none. He alone was responsible for gathering together the various companies which had been scattered far and wide, and whipped and welded them into the magnificent fighting machine they later showed themselves to be. He was colonel of this regiment, I believe, longer than all its other commanding officers taken together. It seems too bad that the old commander of the regiment, who later at Cedar Creek, single-handed, captured 23 of the 48 guns taken from Early, should be allowed by this Government to suffer the last few years of his life from things he needs to make him fairly comfortable. Col. Sawyer commanded this regiment at Brandy Station, the greatest cavalry engagement ever fought on this continent, and the next day forced the enemy to retire, and Gen. Custer in his report said: "The First Vermont Cavalry, Col. Sawyer, deserves great credit for the rapidity with which it forced the enemy to retire." You know better than I how little the colonel has been able to earn for a long rime and realize how deserving his case is. I am sure you will do all In your power to aid him in this matter, and I hope the result will be what we hope for and that it may come early. It will have to come soon, I fear, if it is to help the colonel. Other letters of like tenor from prominent citizens of Vermont are filed with this committee. It is believed that the loner-continued and valuable services of Col. Sawyer, together with his advanced age, physical infirmities, and necessitous circumstances justify the committee in reporting the bill favorably for increase of pension to $72 per month. Source: 63rd Congress 2nd Session, December 1, 1913 - October 24, 1914, Senate Reports, Vol. B, (Washington, Government Prington Office, 1914), pp 26-27. Col.E.B. Sawyer, Hyde Park's oldest resident, died at his home in this village Sunday night at 10 o'clock, death resulting from a complication of diseases, due to advanced age. Mr. Sawyer retired from active life about four years ago, and since that time has been confined to the house most of the time, for the past six months failing quite rapidly and being a great care. Funeral services were held from the late home of the deceased Wednesday at 2 o'clock, and interment will be in the Village Cemetery. Col. Edward B. Sawyer, who was a son of Joshua and Mary (Keeler) Sawyer, would have passed his 90th milestone of his life had he lived until April 16, 1918. He was a native of Hyde Park, and his education was obtained in public and private schools, to some extent under the care of a tutor, and during one term at Peoples Academy. His father was his first instructor in the law, the study of which he commenced at 15 years of age, reading also in the office of Hon. W. W. White, then of Johnson. Three years of his early life he spent with a brother who was engaged in trade in the Province Of Quebec, but he had a fixed intention to the practice of the law, and was admitted to the bar at Lamoille County at the June term of 1849, and immediately commenced the practice with his father.The same year he was appointed clerk of the court, which office held, with the exception of two tears, until September, 1861, when he resigned to enlist for the war. He again held the appointment from 1868 to 1875, when for a second time he resigned so that he might, continue the practice of his profession. In 1849 Mr. Sawyer was united in marriage to Susan Almira Pennock, daughter of Hon. Issac Pennock. To this union were born four children:Mrs. Ellen Keeler of Greenfield, Mass., Miss Mattie Ellen Sawyer, who resides at home, Edward B, and Bertha May, who are deceased. Mrs. Sawyer died many years ago, and in August, 1866, he was united in marriage to Helen M Pennock, a sister to his first wife.Two children were born to this union: Miss Alma Dorcus Sawyer of Hyde Park, and Mrs. Charles F. Hagar of Albany, N.Y.. In June 1865 he interested himself in the artificial breeding of trout, and was probably the first man in the state to encourage the enterprise.Two years after he abandoned this undertaking to purchase the Lamoille County Newsdealer, a paper which he revived and edited for three years, devoting a large share of its columns to the advocacy of the Portland& Ogdensburg railroad. In 1870 he sold this journal and varied his experience by becoming the proprietor of the American hotel, and after seven years management of this concern, retired to resume his professional labors, giving his exclusive attention to the practice of law after 1877. Mr. Sawyer devoted all his time from the beginning to the end of the war to the service of his country. He enlisted Sept. 14, 1861, having first raised and organized Co. D. 5th Vt. Regt, and raised Co. I, 1st Vt. Cavalry. Upon the organization of this body he was unanimously elected captain, and in the retreat of Gen. Banks down the Shenandoah Valley received a severe injury by a fall from his horse. Having been previously promoted to major, though disabled, he did not suffer his energy to remain idle, but recruited 200 men for the regiment at large, and in addition organized Co. L. and Co. M', forming the 6th squadron of the regiment of which he was colonel, when not in charge of a brigade, or detached on special service, until he resigned.He was placed in command of Kilpatrick's division when that general made his raid upon Richmond, and upon that occasion and many others was complimented for his efficient services by his superior officers, though no record can be found of his asking for promotion. In September, 1863, he was wounded in the cheek by a rebel sharpshooter, and though in no greater battles during the war, was more than 40 times under fire.Col. 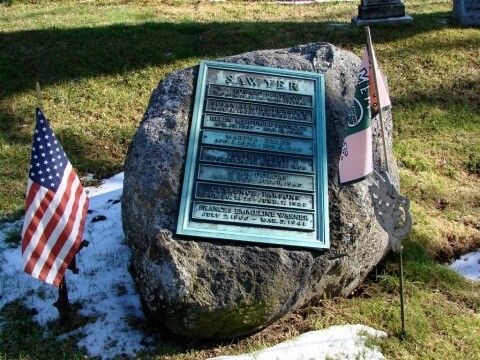 Sawyer organized and was the first commander of Aaron Post, G.A.R., which was named in honor of his maternal grandfather, a veteran of the American Revolution. Mr. Sawyer represented Hyde Park in the Constitutional Convention of 1870, and favored the change to the biennial session.